A 41-year-old woman was fatally injured when she was struck by a car while crossing Niagara Falls Boulevard early Saturday morning, Amherst police said. Police said Jennifer L. Duffin, 41, was crossing in the 2000 block of Niagara Falls Boulevard, between Inn Keepers Lane and Willow Ridge Drive, at 12:42 a.m. Saturday when she was struck by a 2007 Pontiac driven by a 22-year-old Rochester man. There are seven lanes of traffic in that stretch of Niagara Falls Boulevard. Duffin suffered multiple injuries and was taken to Erie County Medical Center, where she was pronounced dead. It was the latest in a string of six pedestrian fatalities on a deadly 6-mile stretch of Niagara Falls Boulevard between the Buffalo city line and the Niagara County border at Tonawanda Creek over the last five years. 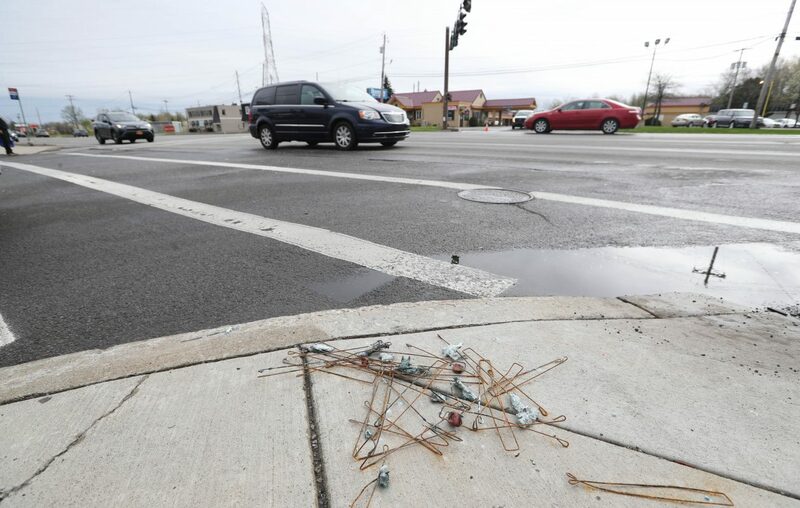 Traffic estimates showed the 3.3-mile section between the Youngmann Memorial Highway and Tonawanda Creek carried on average nearly 43,000 motorists each day as of last fall. Duffin had been living at a hotel behind the Bob Evans restaurant, according to a couple who identified themselves as relatives of the woman. They said they found out about Duffin's death and drove to the accident scene Saturday morning, stopping at a closed Sunoco gas station at Greenhaven Terrace. They said they had just talked to Duffin on the phone about 11:30 p.m. Friday and were supposed to meet her for lunch today. They said they didn't know where she was going when she was hit. They said Duffin had two children, a 9-year-old daughter and a teenage son. "She was a lovely woman and a good aunt. She was a very good mom," the woman said. The couple declined to give their names and abruptly ended the conversation, overcome with emotion. Late Saturday afternoon, Amherst police said no further information about what happened or where Duffin might have been headed was available. Police said the accident remained under investigation. No charges were filed. Anyone with information related to the incident is asked to call Amherst police at 689-1311.